NEW YORK (Reuters) - Nasdaq OMX Group Inc will compensate firms on December 31 for qualifying claims related to Facebook Inc's botched May 2012 initial public offering, the exchange operator said in a note to traders on Friday. Nasdaq said previously it would pay up to $41.6 million in claims to market participants that lost money when a glitch in Nasdaq's system during the IPO prevented timely order confirmations for many traders, leaving them unsure about their exposure for hours and, in some cases, for days afterwards. Nasdaq said a total of $41.6 million in claims qualified for compensation, even though market makers estimated they lost $500 million collectively. Firms that qualified for compensation had until December 23 to agree not to sue Nasdaq over the IPO in order to be eligible for a one-time voluntary payout. While Nasdaq was fined $10 million by the U.S. Securities and Exchange Commission, the largest fine ever for an exchange, the snafu was just one of a raft of high-profile technology glitches that have plagued exchanges in recent years. 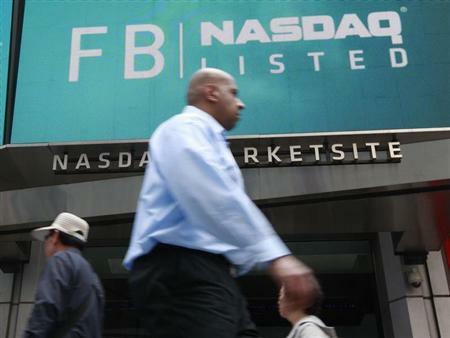 In August a software bug paralyzed thousands of Nasdaq-listed stocks marketwide for three hours. That happened just days after a technical problem at Goldman Sachs sent a flood of erroneous orders to the U.S. equity options markets. After the Nasdaq outage, the U.S. Securities and Exchange Commission called the heads of all of the exchanges to Washington to discuss ways to strengthen critical market infrastructure and improve its resilience when technology fails. Other major glitches include BATS Global Markets' botching of its own market debut, which it had to abandon, just months before Facebook's IPO. And on August 6, the exchange operator faced an outage on one of its markets of nearly an hour. CBOE Holdings Inc experienced a glitch in April that shut down the Chicago Board Options Exchange, the No. 1 U.S. stock-options market, for half a day, preventing trading in options on two of the U.S. market's most closely watched indexes. At IntercontinentalExchange Group's NYSE Euronext unit, a bug in new software being rolled out in September briefly led to a trading halt across U.S. options markets.